Coral communities were monitored at Pandora Reef, nearshore Great Barrier Reef from 1981 to 2005 using photography and videography. In the 1980s, regional elevation of land-based nutrients in coastal waters (ca. 2–6 times pre-European levels of early 1800s) did not prevent overall recovery of coral cover and diversity following a sequence of environmental disturbances in the 1970s. However, prospects for a repeat of such resilience following catastrophic mortality from high-temperature bleaching in 1998 and a cyclone in 2000 are not clear. 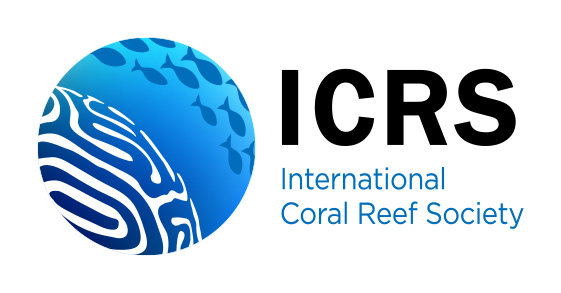 Different coral communities around the reef varied greatly in relation to impacts and recovery. Fore-reef communities dominated by acroporids (fast growing branching and tabular Acropora and foliose Montipora) recovered strongly in the 1980s following apparently severe impacts by cyclone, flood and heat wave disturbances in the 1970s, attaining 60–90% cover by stabilizing rubble and outgrowing macro-algae in <10 years. In the back-reef, by contrast, poritid-dominated communities (massive and finger Porites and columnar Goniopora and Alveopora) had more stable trajectories and smaller impact from recent disturbances: recovery was well underway in 2005. The contrasting trajectories of different parts of the reef reflect differential survival of more persistent versus more ephemeral taxa, notably poritids and acroporids, respectively, both major contributors to framework and cover on reefs globally. A repeat of earlier resilience appears possible in the shallow fore-reef, but unlikely in the deeper fore-reef, which had few viable fragments or recruits in 2005. 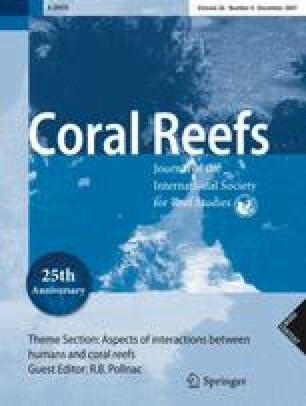 The main limits on recovery may be (1) reduced supply of coral larvae due to widespread regional losses of coral brood stock and (2) the reduced intervals between disturbances associated with global climate change. The presence of a high abundance of Acroporidae is a major pre-disposing risk factor for climate change impacts. Communicated by Environment Editor K. Fabricius. We thank the members of AIMS Long-Term Monitoring team who did the video transects; Tony Phipps and Tim Peters, who did the light profiling and collection of sediments; Kim Navin and Kate Osborne who assisted with the photo work; the AIMS ship crews; and Jean-Claude Collingwood for building the stereo rigs. Finally, our thanks to Angus Thompson and the reviewers for their helpful comments on the manuscript.